"It drives me crazy when I hear young people saying, ‘I'm building my brand. I'm concentrating on my brand. 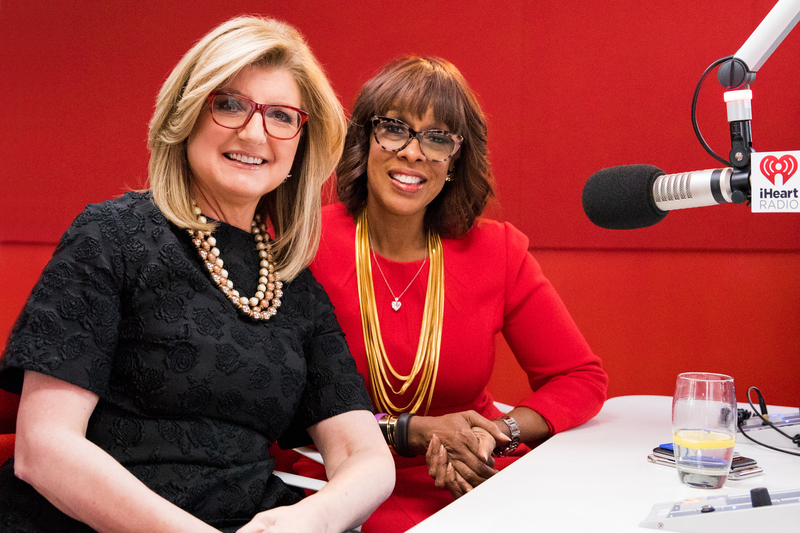 How many likes do I have?’"
To kick off Season Two of The Thrive Global Podcast with iHeart Radio, Thrive Global founder and CEO Arianna Huffington sat down with CBS This Morning co-host, O Magazine editor-at-large and media icon Gayle King. In a wide-ranging conversation, Huffington and King spoke about everything from King’s social media habits and morning routine to self-acceptance and the possibility of an Oprah presidential run. King told Huffington that though she goes through an extensive pre-work beauty routine, which she called “the transformation process,” she’s comfortable going out in public without her hair and makeup done. Her authenticity and openness extend to what she’s willing to share with viewers and fans. “I just don’t see any point in sugar-coating things,” she added. King also posts photos of herself on social media that show her without makeup and share the nitty-gritty details of her life. For example, on Instagram she recently posted behind-the-scenes footage of herself getting ready for the Golden Globes with Oprah, including Oprah telling her she needed lotion for her elbows.